Happy New Year Everyone! Since people seem to be making resolutions and planning for 2015 I feel as if I should too, even though I know from past experience that I rarely stick to the lists I draw up. I’m toying with the idea of joining a couple of blogs. I like the idea of finding a bookish connection for every one of the traditional English counties, so Reading England 2015 sounds fun, but I don’t want to be tied down to too many books, so maybe I’ll aim for a lower level and just read half a dozen books for this one. And the What’s in a Name Challenge sounds fun – I could do this one easily using books from the TBR pile, and there aren’t that many books, so I’d still have plenty of time to read anything else that takes my fancy. In addition, since most of my reading seems to be limited to British authors, and I am woefully ignorant about writers from other countries and cultures, I would like to try and read more foreign authors. I’ve got some Australian books on a shelf, and Zola and Balzac on the Kindle, so that would be a start! 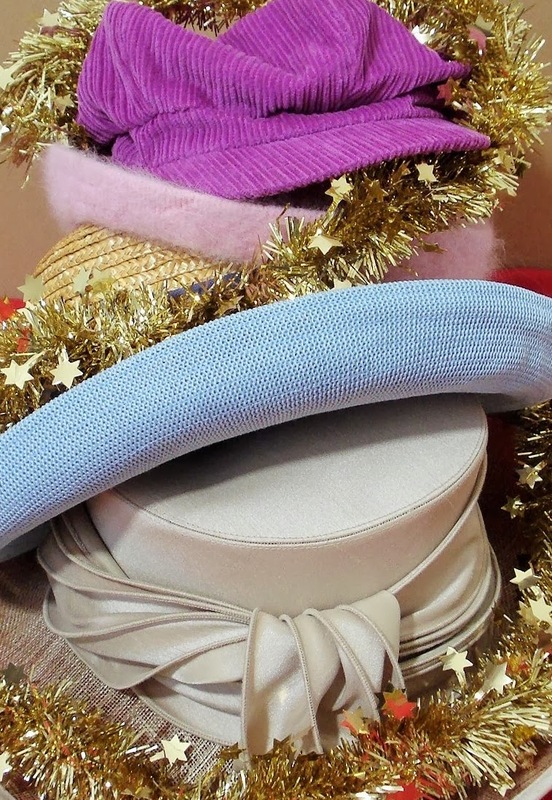 Meanwhile, I seem to have gathered a pile of books by my armchair while ‘catching up’ on Radio 4 over the Christmas period– I love BBC Radio’s readings and dramatisations, and there have been some real goodies over the last couple of weeks. 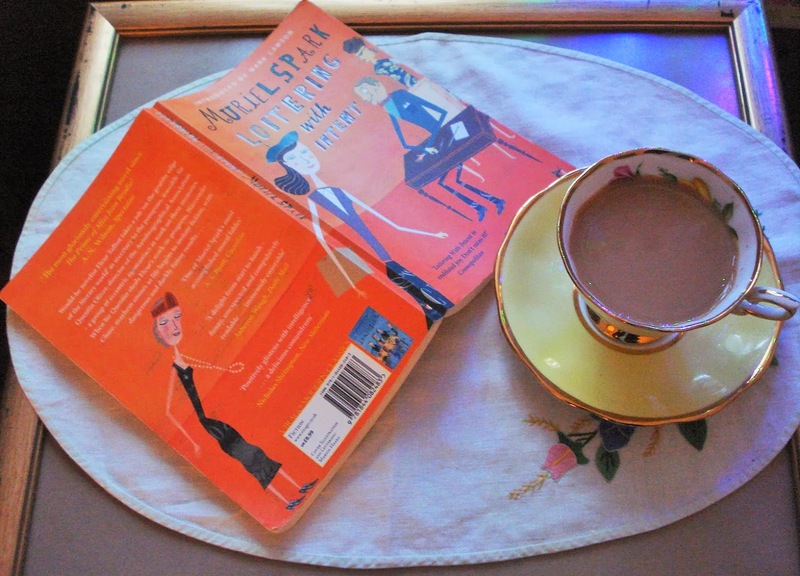 I’ve enjoyed TH White’s The Once and Future King, Thackeray’s The Rose and the Ring and The Diary of a Provincial Lady, by EM Delafield, which are all old favourites so, of course, so I had to hunt out the books for some re-reading. And I’ve also ended up with a stash of other Arthurian books, and a copy of Christina Hardyment’s biography of Malory, which someone gave my mother, and she gave me! Then there was Susanna Hislop’s Stories in the Stars: An Atlas of Constellations, a fascinating mix of myths and science, which had me standing out in the garden gazing at the stars and contemplating the universe. This book has been added to my Wish List, and I’m considering taking a trip out one night somewhere with a better view of the night sky – there are too many roofs and lights where we are, which is a shame, because there have been some lovely clear night skies while the weather has been so cold and frosty. I’m looking forward to listening to Fay Weldon’s The Girls of Slender Means, which is the current Book at Bedtime (I like listening to serials in one fell swoop – I get frustrated with them because I want to know what happens, even when I’ve read the book!). And I’ll be glued to the radio for much of today for a marathon session of Tolstoy’s War and Peace – though I’m not sure I’ll remain uninterrupted until the end! 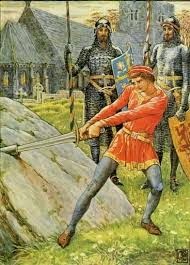 Anyway, from this surfeit of riches TH White’s The Once and Future King seems the most suitable inspiration for New Year, because it is New Year Year’s Day when Arthur pulls the sword from the stone. If you remember, the newly-knighted Kay is to fight in a great festive tournament, but he’s left his sword at the inn, so he sends Arthur back for it. However, the inn is locked, and Arthur, determined to find a weapon for his foster brother, takes one from an anvil set in a stone in a graveyard. 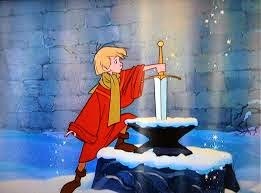 Arthur, or Wart, if we’re following White (because, as he says, it more or less rhymes with Art, which is short for Arthur) must be the only person in the kingdom who knows nothing about this sword in the stone, which miraculously appeared on Christmas Day. According to White, the sword is ‘stuck through an anvil which stands on a stone. It goes right through the anvil and into the stone. The anvil is stuck to the stone. The stone stands outside a church’. He pretty much follows Malory, who tells us in Le Morte d’Arthur of a ‘great stone four square, like unto a marble stone; and in midst thereof was like an anvil of steel a foot on high, and therein stuck a fair sword naked by the point, and letters there were written in gold about the sword that said thus:—Whoso pulleth out this sword of this stone and anvil, is rightwise king born of all England’. Arthur, knowing nothing of all this, hands the sword to Kay, who initially lays claim to it, before admitting it is Arthur’s achievement But the noble lords of the realm are not happy and refuse to believe this seemingly base-born lad, a foundling, of unknown parentage, is really the son of dead King Uther. 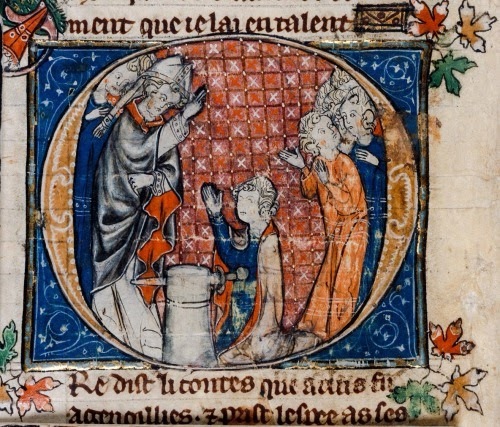 There are contests on Twelfth Day, Candlemas and at Easter when the knights gather to pit their strength against Arthur – but on each occasion he is the only one who can draw forth the sword, so he is finally crowned at Pentecost. Malory wrote Le Morte d’Arthur. It shows the sword pushed sideways into the stone.